St. Paul Federal Credit union has joined together with other credit unions, internationally, in a cooperative effort to bring you a bold choice in financial convenience, the “CO-OP Shared Branch® Network”. You can perform many of your financial transactions and obtain services at branch locations of other credit unions belonging to the network. By using a CO-OP Shared Branch, your membership and accounts remain at St. Paul Federal Credit Union, but you can access your accounts and conduct business with St. Paul Federal through any of the convenient CO-OP Shared Branch Locations. In this way, through a network of participating credit unions, access to your accounts and credit union services is made easier. Financial partnership through the work place is probably the reason you joined the credit union, but convenience for you may not translate into convenience for your family members. Previously, your family members may not have had easy access to a credit union branch. With CO-OP Shared Branch, you and your family will find access to St. Paul Federal more convenient. No matter where you may be on the road, your credit union, is now as close as the nearest CO-OP Shared Branch. With so many convenient locations, you will be able to access your credit union account even if you travel or relocate hundreds of miles from us. All transactions require identification so to save you time and help us serve you, please have these items ready to present to the teller. We ask, because CO-OP Shared Branch cares about protecting your identity and account information. If you have questions regarding your account or transactions that were performed through the CO-OP Shared Branch, please contact your local St. Paul Federal Branch. CO-OP Shared Branch may limit cash withdrawals to $500 per day, regardless of St. Paul Federal’s policy. The funds you deposit at CO-OP Shared Branch locations may not be available for immediate withdrawal from your credit union account. Holds are placed on items you deposit through CO-OP Shared Branch locations based on St. Paul Federal’s Check Hold Policies. Remember—the location does not place the holds on your account. The CO-OP Shared Branch Location cannot remove a hold placed on your account. You must contact your St. Paul Federal Branch. The CO-OP Shared Branch Location cannot accept a stop payment request on your own checking account. 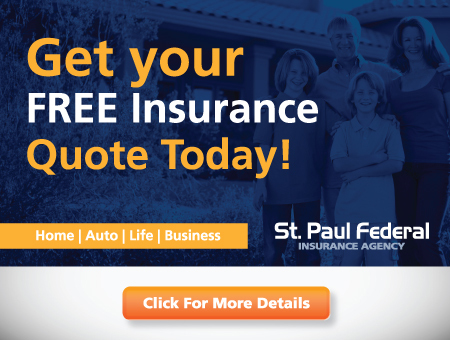 You must contact your St. Paul Federal Branch. If you need to place a stop payment on a check you obtained from the CO-OP Shared Branch Location, such as a cashier’s check, money order or official check, you must contact the CO-OP Shared Branch Location where you obtained the check. There will be a waiting period not to exceed 90 days before funds can be released. You may be required to complete an indemnity agreement. There will be a fee for this service. With CO-OP Shared Branch, you can use your valuable St. Paul Federal Credit Union membership internationally! For the nearest CO-OP Shared Branch Location go to CO-OP Shared Branch Locations or call (888) 748-3266.